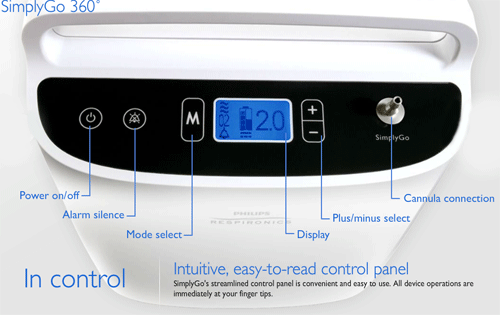 SimplyGo Concentrator - SHIPS FREE! 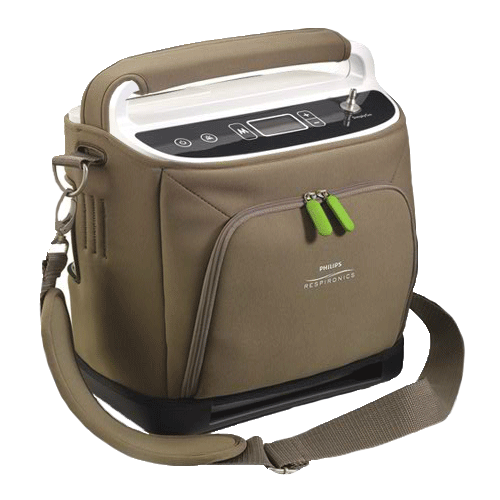 SimplyGo Portable Oxygen Concentrator from Phillips Respironics is constructed with high-quality parts and features a rugged, high-impact-resistant design for exceptional durability and longevity. The SimplyGo is designed to withstand impacts, vibrations, and varying temperatures for uncompromising performance -- day in and day out. Lightweight at only 8.5 pounds, this O2 device is easy to carry but also has an optional cart for pulling behind you. 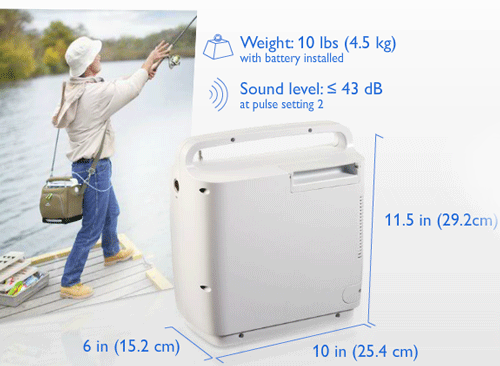 If you are looking for less weight, consider the Respironics SimplyGo Mini at 3.9 pounds. 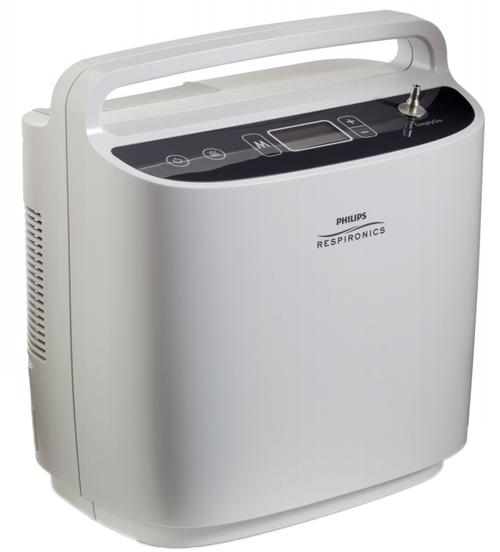 This manufacturer also offers home oxygen concentrators like the EverFlo and the Millennium M10. 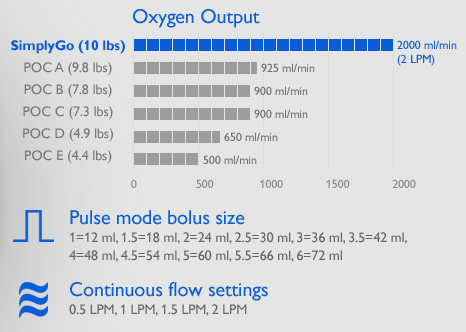 10 Pounds -- It is the market's lightest portable that provides both continuous flow and pulse dose oxygen delivery -- it will be ready to meet your needs today and tomorrow. Extra mode -- SimplyGo features Sleep Mode. A unique take on Pulse Mode, Sleep Mode has a greater sensitivity level and softer, more comfortable pulse delivery method for sleep. SimplyGo features three delivery modes! 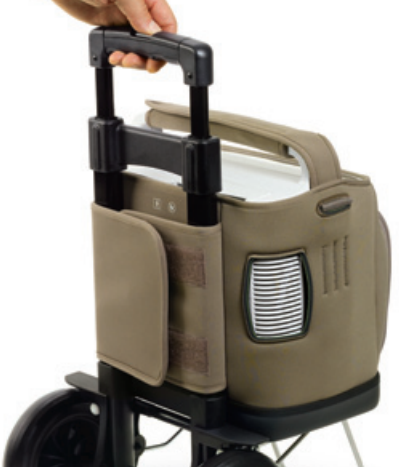 The SimplyGo is the first Respironics Portable Oxygen Concentrator with a third delivery mode. In addition to the pulse and continuous flow mode, the SimplyGo has a Sleep Mode. The Sleep Mode is similar to the Pulse Mode but has a more sensitive triggering level and delivers a softer, more comfortable pulse for sleeping. If no breath is detected for a period of time, the SimplyGo system automatically delivers a continuous flow of oxygen at a rate consistent with the last used continuous flow mode setting. Sturdy, high-impact-resistant construction withstands day-to-day wear and tear. Easy-to-use, streamlined control panel provides convenience and extra user confidence. 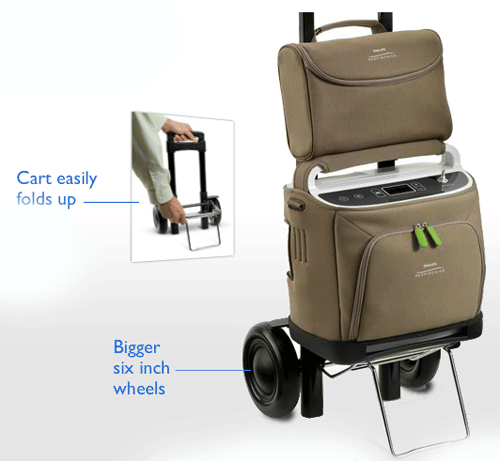 Fold-Up cart with 6-inch wheels simplifies transporting hassle-free. Provides up to 2 LPM of continuous flow oxygen output. 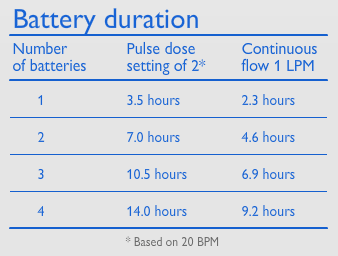 Provides 12-72 mL pulse mode bolus size. Respironics SimplyGo is FAA-approved for air travel. Rental Program -- Try before you buy. Rent a machine from us for your next trip. Generous Buy Back program -- If you're not completely satisfied, we will make it right! We'll buy it back and get you the right unit. Loaner Program -- Should anything happen to your device purchased from us, we will furnish a loaner while your concentrator is repaired. Certified Oxygen Concentrator Specialists -- Trained team members ready to assist with any Oxygen questions. When you call with questions about any Oxygen Therapy Solution, you will speak to a Vitality Medical Certified Oxygen Concentrator Specialist. 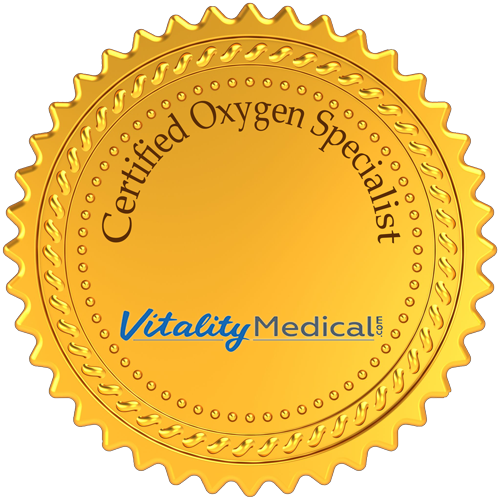 Vitality Medical's founder, a registered murse, knows that Oxygen Therapy Devices are life-essential. Our company has a cross-company Oxygen Concentrator committee that has developed an Oxygen Concentrator Specialist Certification. To address any oxygen questions, our Specialists must pass a 50-question exam in 35 minutes with a score of 94% or better. Because Vitality Medical's Oxygen Concentrator product line continues growing, our Specialists re-certify every six months. Brochure will give you a quick overview of this product. 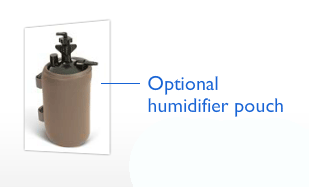 Flyer provides detailed information about this lightweight portable O2 concentrator. 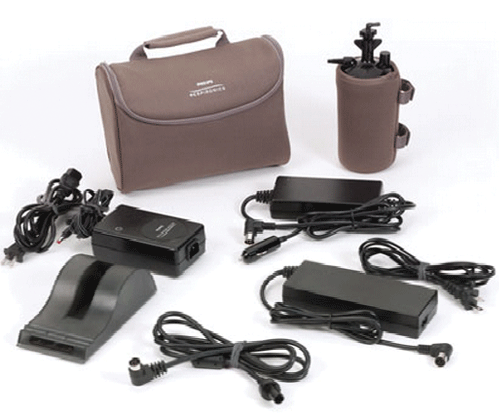 User Manual is an in depth guide to this oxygen concentrator. SimplyGo Quick Spec Sheet offers you a synopsis of the technical details. 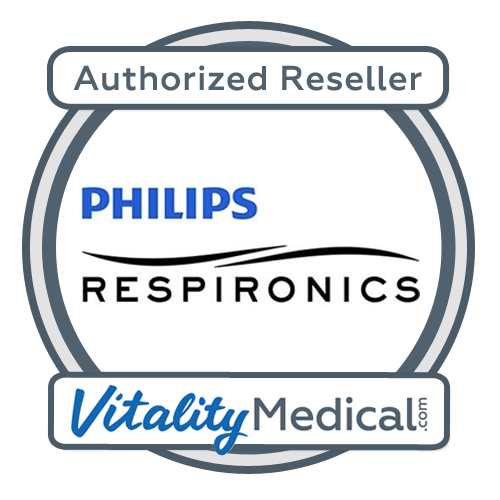 Vitality Medical is only authorized to sell and ship Respironics products to end-users residing in the United States. 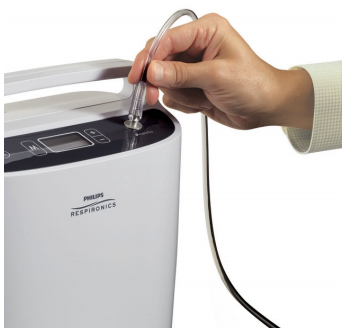 Manufacturer's Note:Philips Respironics recommends that new patients purchase their devices, masks and initial accessories from a homecare company that can provide an individualized patient equipment set-up, clinical and after-sales support, and a program to assist patients with therapy success. 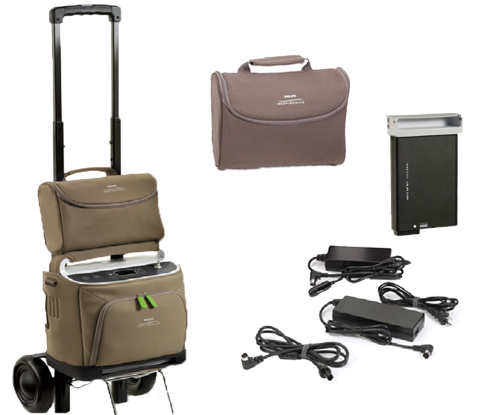 Additional Note: MSRP for Respironics SimplyGo Oxygen Portable Oxygen Concentrator with Full Local Support is $4,495, with Limited Support $4,295, or with Vitality Medical's Special Online Support $4,095.00. To be compliant with current FDA regulations, we require a prescription for selected Portable and Home Stationary concentrators, and Pulse Oximeters. Prescriptions are NOT required for replacement parts and accessories. If a prescription is required for an item in your order we will inform you of the requirement and ask you how the prescription will be provided. If you are unable to obtain a copy of your prescription, we are happy to contact your doctor and request the prescription on your behalf. 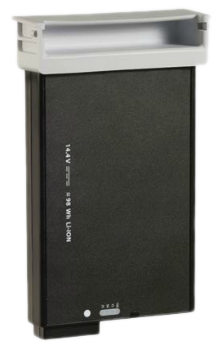 Do you have a potable concentrator that goes up to 10 L to 15 L? We have a few available that will go up to 15LPM; however, that setting is for pulse flow and not continuous. If you need continuous flow, we recommend speaking with a medical professional to see which portable will fit your needs. Does this go to 4 lpm, and can you rent for 10 days versus one week or two weeks? This concentrator goes up to 2 lpm. Rentals are based on weeks and not days. For more information about rentals, please contact customer service at 800-397-5899. A Companion Portable can go up to 10 LPM, but is liquid oxygen. You will need to contact the cruise line to determine whether the machine can be taken on the ship. Helo. My name is antoine soukayem. I just see in your home page the simplygo portable oxygene machine. Product number 1068987 for the amount of 2995$. Please i used to know how can i buy it ? Can u deliver to lebanon ? If no do u have any agent in europe or in middle east who we can communicate with ? Thank you . Best regards. 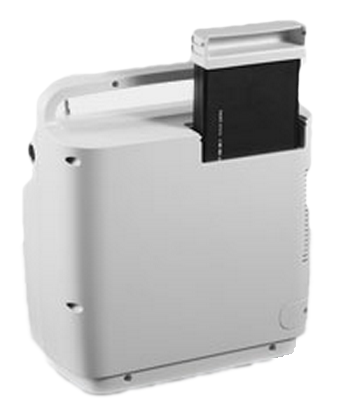 Hello Antoine: We cannot ship oxygen concentrators outside of the U.S. as it will void the warranty on said machine. My husband is so happy to have his new Simply Go machine. He is free now to do the things he wants to do. This is a wonderful product!! It performs just like the online information and the manual says, portable, quiet, tells you how much battery life is left, easy to use. Love it! I am so grateful I found this product for him. I went to Vitality's location to look at my new concentrator. I really like it because it's hard to break. The handle has rubber on it and so do the batteries. We have had a Simply Go for over a year. I even sent it back to see if something was wrong with it. Very loud. Could not use it in a theater or church or anyplace where people want it quiet. Way too much money for a 2 liter full flow machine. I would recommend it. It is easy to operate and convenient.Only it is very heavy to lift into the car and take out. I am satisfied with the product. As for ordering it, there was a considerable delay in taking the order. Maybe because it was holiday season and Vitality Medical was understaffed at the time. But once the order was in, it was delivered on time, and the sales person, Cara, was extremely helpful. Thank you, Cara. Claims for machine way overstated. Heavier than claimed. Batteries don't last but a fraction of time claimed in literature and owners manual. Lot's of problems operating in car. With two batteries ran out of juice 2 hours into 4 hour flight on pulse at 2 leaving me gasping for air. Also large enough to be problematic in crowded places like restaurants. Pull cart continually overturns. Very disappointed in machine. This is a well constructed, easily maintained and used, portable oxygen concentrator that will function at the higher altitudes in Colorado. It is small enough to be taken on an ATV and small enough to be easily transported. This is a nice portable device, but the battery doesn't last long on 2 liters. Only about an hour. 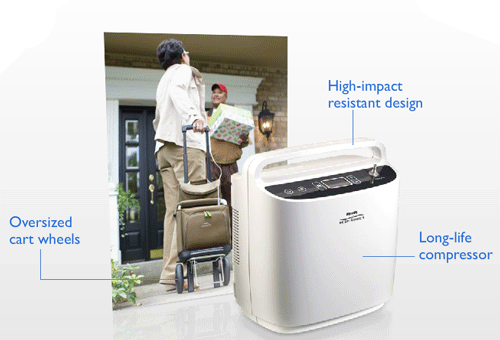 The Simplygo oxygen concentrator is lightweight portable oxygen concentrator with three delivery modes--continuous oxygen, pulse dose oxygen and sleep oxygen. You can also get an Evergo concentrator to use at home for a few $100 more to provide the heavy duty home use and save the Simplygo for when your are out-and-about!